Following my recent search for something to buy, I have decided to diversify into another high-yield share, based on the expectation of a little improvement in the UK and European economies. This choice of security was also prompted by the chance to do a bit of portfolio in-filling with a (now unfortunately) small 'legacy' holding of mine - so I have been monitoring this business for a while. 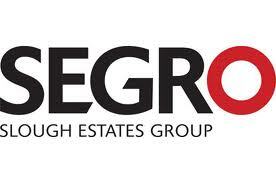 SEGRO (formerly known as Slough Estates Group) is a 'mid-cap' property firm, specialising in industrial space. It has a current dividend yield of around 6.3% and a p/e of around 10. Although the dividend cover is low, at around 1.2, an increase in dividend has been announced. The current share price (around 230p) offers a discount of around a third compared with the year-end net asset value (NAV) of 340p. According to a recent company announcement: "SEGRO is Europe's leading developer and owner of industrial space. The Group is a Real Estate Investment Trust (REIT), listed on the London Stock Exchange. SEGRO's portfolio comprises £5.4 billion of predominantly industrial and warehouse assets concentrated in and around major business centres and transportation hubs such as ports, airports and motorway intersections. SEGRO currently has £930 million of logistic assets under management in the UK, Germany, France, Benelux, Poland and the Czech Republic. The Group serves over 1,600 customers spread across many geographies and different industry sectors. It has 5.5 million sq m of built space and a passing rent roll of £340 million." As part of its strategic review in November 2011, SEGRO announced that it would focus its portfolio on the highest quality assets in the strongest markets, including an intention to expand its portfolio of logistics assets under management. They have made a promising a promising start with the completion since the year-end of the acquisition of prime logistics assets with a joint venture partner and the disposal of a portfolio of non-core holdings in the UK. increased full-year dividend - up 3.5% to 14.8p (2010: 14.3p). These changes were mainly down to its policy of targeted disposals: £110.9m in 2011 and the post year-end disposal of five non-core UK industrial estates; further disposals are expected over the balance of the year. Given the uncertain short-term direction of the economy it is reassuring to see that SEGRO has strengthened its funding position with significant debt financing arranged in 2011. According to the ratings agency Fitch: "SEGRO had GBP455m of undrawn bank facilities and cash at June 2011. This is more than sufficient to fund the development programme of GBP150m in 2012 and GBP96m of bank debt maturities in 2011/2012. Segro has no bond maturities until 2015, when GBP289m of bonds mature. The average cost of debt is 5.2% (5.1% at December 2010) and 80% of debt is at fixed rates. With GBP198m of bonds having maturities in 2035, the weighted-average debt maturity is relatively long at 9.0 years." So, a property business with a good dividend that is restructuring its portfolio with a clear strategy biased towards logistics. a sector that is quite sensitive to the health of the economy. If the economy picks up, SEGRO should do well; if the economy stagnates, at least the company has financing in place up to 2015. The low dividend cover is a concern - in case the company gets into short-term cash problems. But overall a reasonably safe bet on economic recovery. Interesting pick ... and something to balance out a portfolio too invested in the financial sector, as mine is. One plea- when you put a portfolio buy, please state at what price. I hold the corporate bonds but am wary of the exposure to European (Eurozone) property. However, I took the leap last week on a price set-back as a 6.3% yield covers my risk (famous last words! ).